The Fried Fish Laksa failed to impress. The highlight of the laksa was undoubtedly the fish fillets, which were plentiful perfectly cooked. Fresh out of the fryer, the crisp outer made way for a soft and juicy inner. However the meal was all downhill from there. Instead of having a mix of egg and rice noodles like a traditional laksa, the handful of noodles within our bowl consisted of only rice noodles, . The soup itself was downright odd, slightly sour and tangy and definitely far from the laksa flavour we have been so accustomed to in Malaysia. To top it all off, the bowl of noodles and soup were served lukewarm instead of piping hot, and also devoid of all other ingredients apart from 3 giant slices of fried dough. Where’s the veggies, tofu, fish balls that normal comes with any laksa?? It was overall rather disappointing. Coming in at $15, Baba Boi Express served up a dish that was neither laksa nor express. 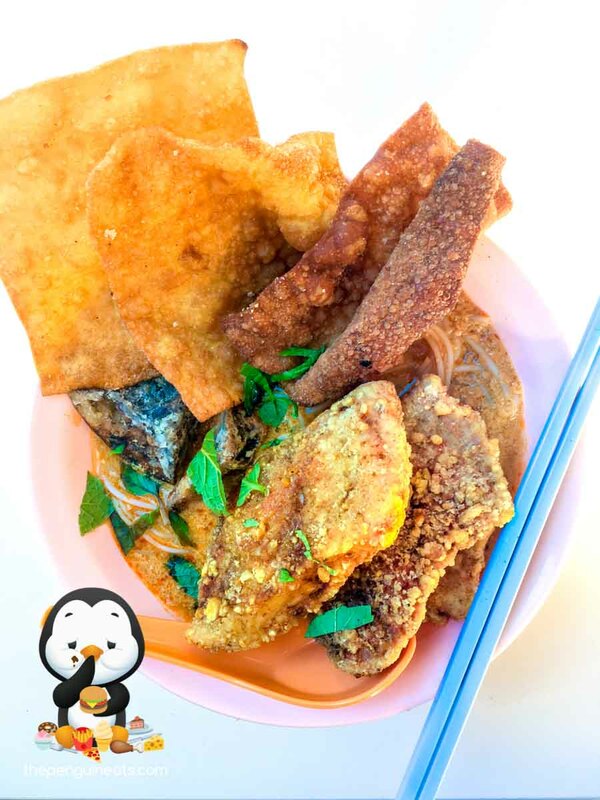 The 15-minute wait for some fried fish in a warm bowl of rice noodles was simply not worth anyone’s time. If all we wanted was fried fish, we would’ve just gotten fish and chips. Not a “Malaysian Laksa”.